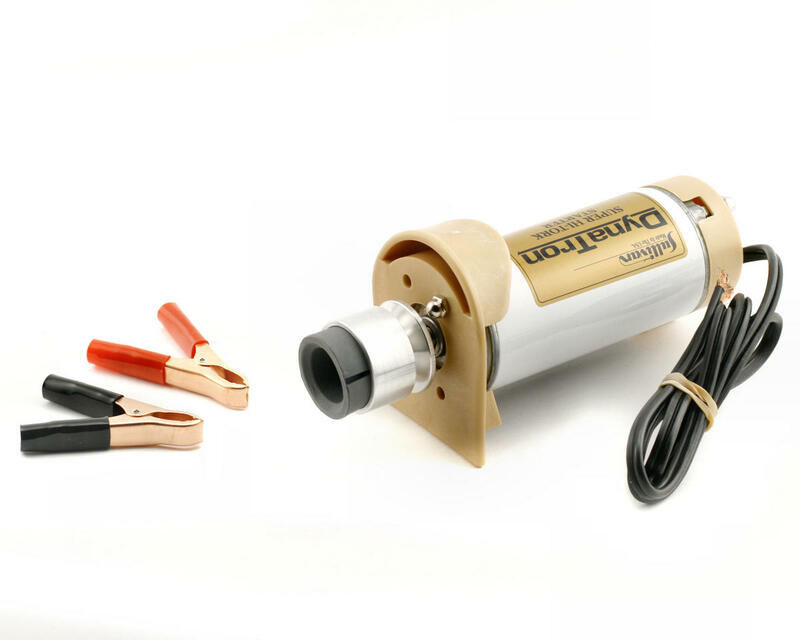 This is a Sullivan Dynatron Heavy-Duty, Super High-Torque 12V or 24V Starter. 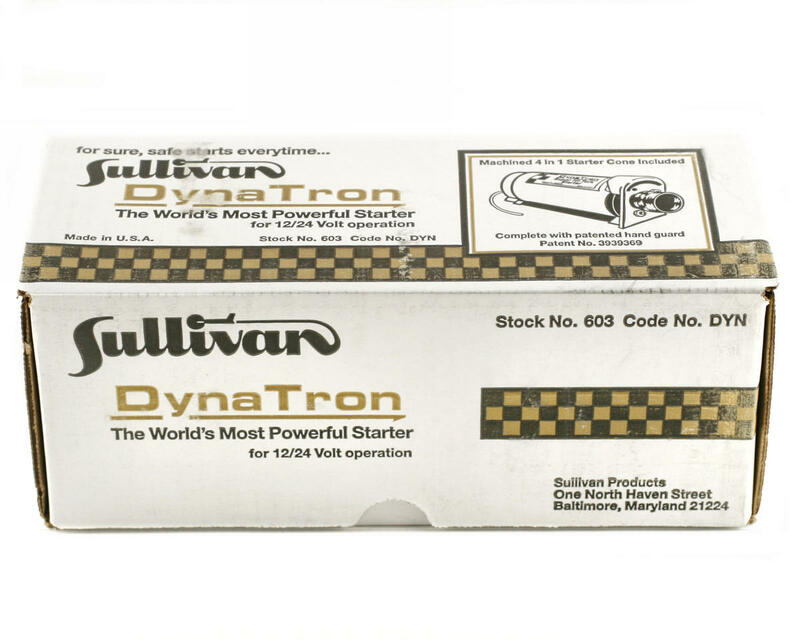 The Sullivan Dynatron starter that will start all model engines, from .09 to 1/4 Scale. This starter features "Instant-On" Fingertip Control Switch and a full protection hand-guard for extra safety. Standard grey rubber reversible insert and aluminum pulley groove drive cone. The front plate guard is adaptable for left handed use. A 46" wire lead (not coiled) and two alligator clips for easy attachment to a 12 volt battery.